I’ve never been a massive fan of the Wolverine stand-alone movies, but knowing this was Hugh Jackman’s last outing as the iconic character made me a bit more interested. And then…this poster dropped last week. 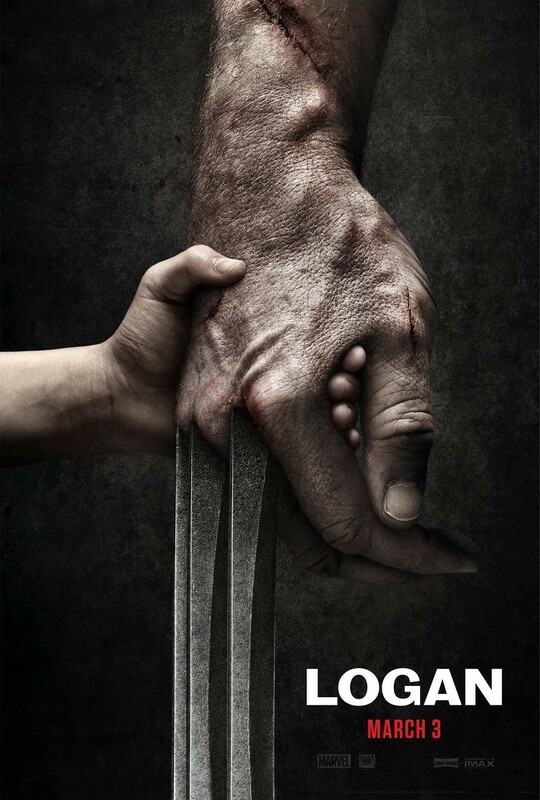 The first teaser poster for ‘Logan’. It clearly hinted at a much darker, possibly more emotional tone than any of the other X-Men movies. After all, this movie will be Rated-R, and I imagined the studio was trying to make good use of that rating after seeing this poster. Now, we have a look at the first trailer for the final movie about Wolverine called Logan. Check it out! Look, any trailer that’s set to Johnny Cash’s cover of “Hurt” is automatically gonna be one you remember. The minute that song started playing, I knew we were in for something different from any other superhero movie out there. As I said before, I’ve never been a big fan of the solo Wolverine movies, but this one just looks…I mean…can I say outstanding? There’s always been that character-driven tone that’s set the X-Men franchise apart from other superhero movies since its first outing, but this one looks downright emotional. This is the first time we’ve seen a superhero movie that sells itself first as a drama before anything else (save for The Dark Knight Trilogy), and it looks like it’s definitely going to be something special because of that. This trailer also gave me confidence that this is going to be about something bigger and more personal than just Wolverine beating up some bad guys. The trailer gave me some serious Children of Men vibes with a bit of pseudo-western thrown in there, and now, I can’t wait to see how this movie turns out. Logan hits theaters on March 3, 2017. What did you think of the first Logan trailer? Wow! This looks so dark and sad and Post-Apocalyptic – and judging by the R-rating – uber violent. Not what I like in an X-men flick. I was a big fan of X-men comics in the 80s. What I really liked about them was the interaction of the characters, the sci-fi “what-if” story lines and the humor – so much witty banter and wise cracking. I really liked Wolverine Origins and the first X-men movies (not so much “Samurai Wolverine” nor the alternate timelines of the last couple x-men movies). But, that said, I can’t wait to see it. I have to see where this goes. It’s very rare to hear people who like the origins movie, so I’m glad to hear you liked it! I guess it’ll be good for Hugh Jackman to leave the role after this movie knowing they exhausted all facets of the character. Thanks for the input!